We worked with DSI to create a responsive and mobile-friendly website design that would showcase the company’s services and opportunities. The new site also provides a clear and distinct area for DSI customers to track their load using the company’s software. 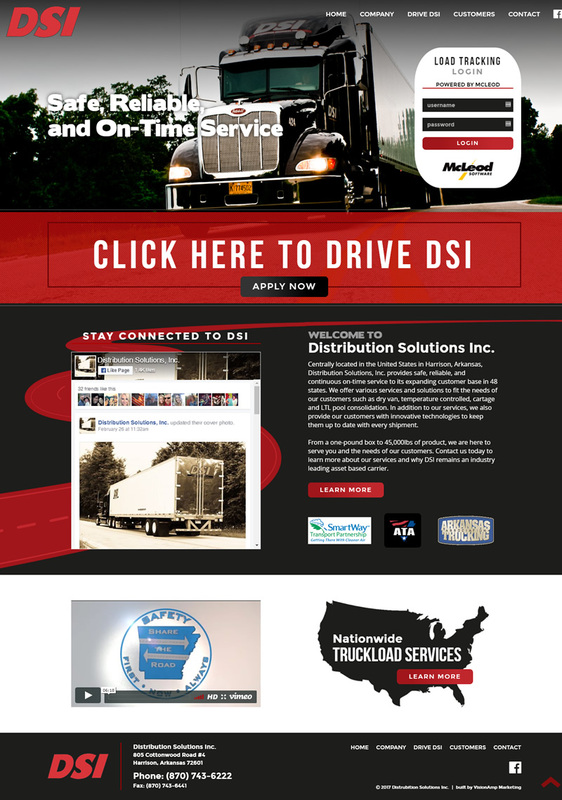 Distribution Solutions, Inc. is located in Harrison, Arkansas. They offer reliable and on-time transportation services to clients within the lower 48 states. They offer various services and solutions such as dry van, temperature controlled, shuttle service, as well as dump truck and end dump services.